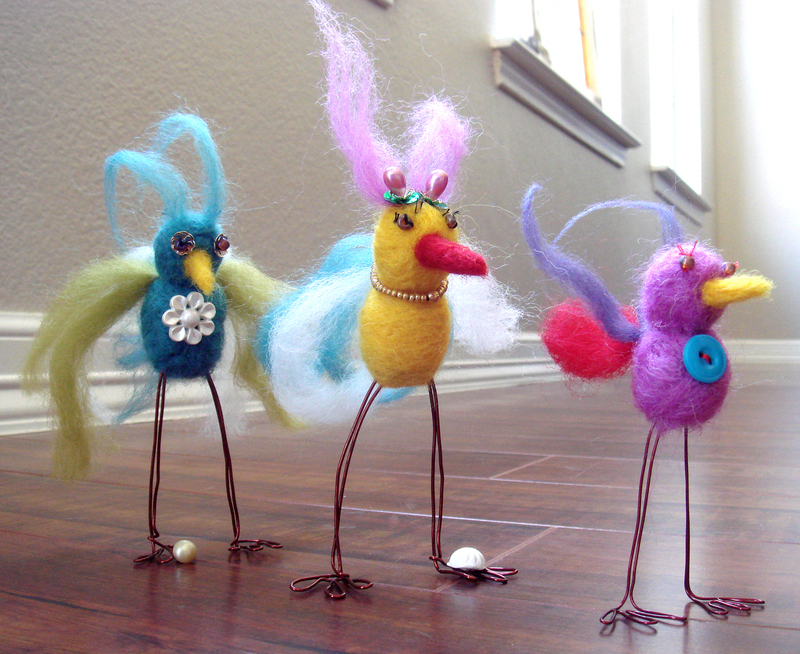 Having a ball felting birds, my precious peeps. Though to date, it’s only been 3. 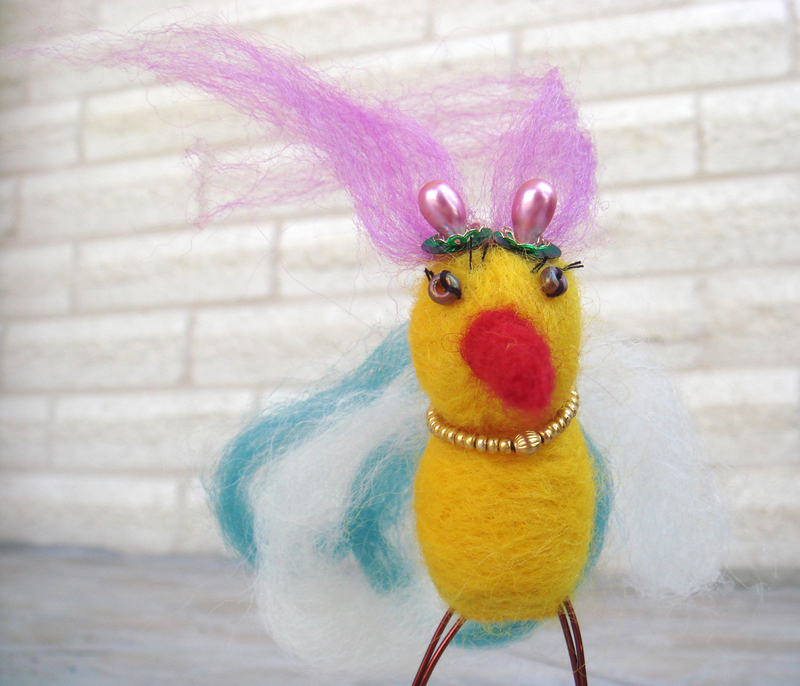 Oh but the plans I have for my bags of beads and jars of buttons… A Southern-friend situated in Dallas requested Gadora create a felted bird for her. I’d be thrilled, I trilled. He would have to be special. A bit frilly. Definitely bejeweled. And everybody would love him. Bulbul in all his glory: vintage hat-pin and sequined Princess Leia updo, a gold-beaded necklace with center medallion and beachy, bakelite toe-ring. Towering over the rest of the nest, BulBul takes no bull from his fellow hecklers. They are a beautiful bunch. 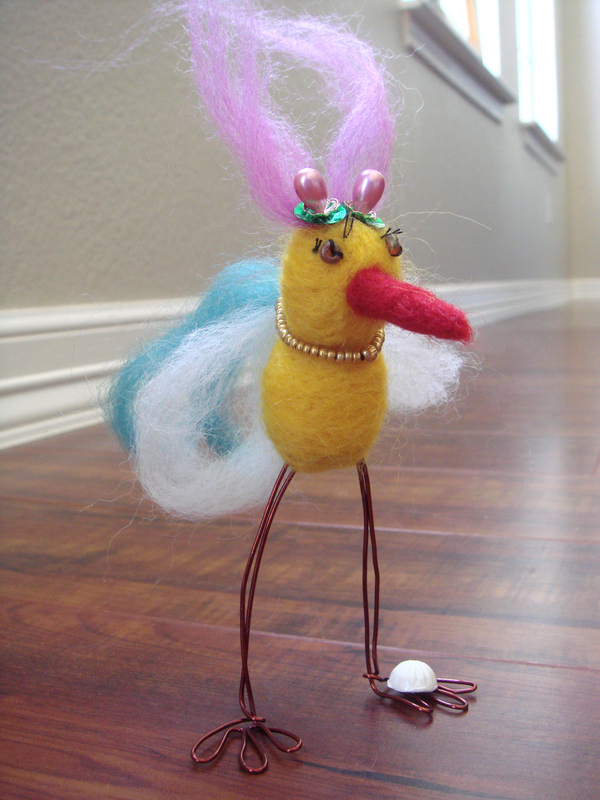 Posted on March 6, 2010 March 6, 2010 by gadorawilderPosted in Los Pajaros...Tagged birding, felted bird, felted creature, how-to felt, pajaro. Previous Previous post: The Bachelor: furniture from Vienna.